In 2016, Facebook Live became the hot new 'thing' in digital marketing - and for good reason. It upped the ante on video marketing in a way that excited companies looking for new ways to attract and engage users - but the question many have is "why?" Video has been a key player in the marketing game for a few years now, so why would live-streaming make such a difference? Because live-streaming has an immediacy that recorded video can't match. It is happening NOW and users can engage with the content in ways that make pre-recorded video feel like it's dated. So let's take a look at three big reasons that live-streaming is going to be big in 2017 and beyond - and more importantly, how you can take advantage of the growing trend. You know what users don't want when they engage with your content? They don't want a long wait before they feel like they've gotten a "win" - whether that win takes the form of a deal, a discount or some type of information such as an instructional guide. When you implement live-streaming into your marketing strategy, you give users the opportunity to interact instantly with your content. Well, when users join your live stream, they can participate in the running commentary about whatever they're seeing, so there's immediate interaction. Live-stream viewers can also communicate with other users, which can generate debate about products, services and other key content that you want them to engage with. But live-streaming also gives brands immediate feedback on content such as product launches, which can help them gauge the level of interest that products may generate. One of the biggest ways to put users at ease with your company is to offer them a glimpse behind the curtain. So many companies are shrouded in mystery, because consumers have no idea how products are developed, manufactured and marketed. But businesses that are opening up their processes through live-streaming are finding a new level of engagement that's instrumental in building trust. So how can you create that kind of intimate relationship with your users? You can create live-stream "Meet the Team" videos that introduce your users to your employees in a relaxed environment that's pretty close to having a friend over for drinks. But the most important thing to remember is that the live-stream shouldn't feel scripted. Users engage with video that feels real and unrehearsed, as opposed to material that feels pre-programmed and prepared. Why does this kind of live-streaming work? Because it puts a human face on a brand and makes users feel as if they are engaging with people who they might meet in real life. It removes the shroud of mystery about the inner workings of a company, and in doing so, opens up the familiarity consumers want to feel when they buy products and services. If you view live-streaming as another important tool in your marketing arsenal, you'll begin to see how wide a net you can cast when you conduct a live session. While email marketing is still very useful to keep your target market primed for your products and services, it can only reach the people on your list. 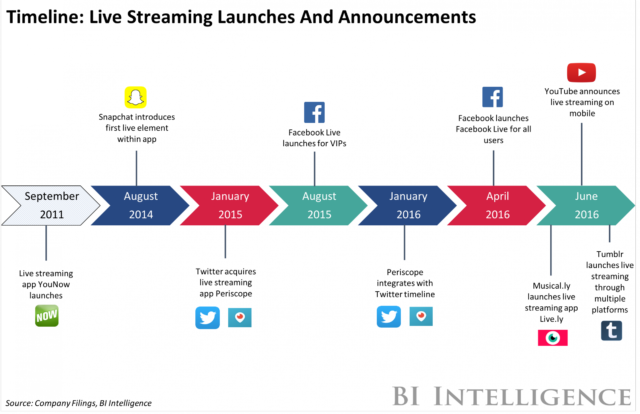 That's the reason so many big companies are betting big on live stream. According to reports, Twitter spent $10 million to live-stream select NFL games during the past football season, and aimed to generate nearly five times that amount in ad sales. You think Twitter knows something you don't? The owners of Twitter just understand that they can reach millions more people by offering live content that will draw people who might not otherwise spend time on their platform. And by doing that, guess what else happens? They generate millions more in ad revenue. And here's one other thing to remember. Live-stream content is easy to share among users, and multiple reports have shown that videos are easily the most shared content out there. Ok, so now that you're starting to see the possibilities of live-streaming, you need to figure out what would work best for your brand. Product Launches - Got a new product or service you want to unleash on your market? 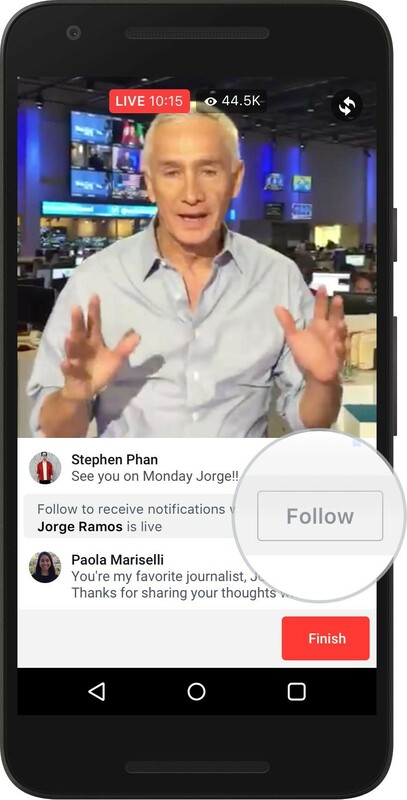 Tease the launch via live-stream and get a taste of what users think of what you're offering. Q&As - User-driven question and answer sessions offer valuable and actionable information and convey credibility and authority on your brand. And it never hurts to get a influencer in one of these sessions, especially a celebrity. Company Tours - Show users how you develop products and services, and let them sit in on pitch sessions or some other type of "insider" event that offers unique insight. Entertainment - Some brands feature live concerts, company rallies and other entertainment events such as workout sessions (for a fitness brand) or live debate (online political mag). Live-streaming is a powerful tool in your marketing arsenal, because it doubles down on video marketing by providing real-time content that is immediate, interactive and more engaging to users. There's a reason major brands such as Chevrolet, BuzzFeed and Coke have all launched live-stream campaigns designed to engage existing consumers and people who are new to their products and services. Understanding the benefits of live-streaming can help you develop the appropriate strategy to utilize this tool to boost your leads and convert them into customers, long term clients and followers.